Pulling a wine from your cellar you bought many years before to find it has matured into something exquisite and beautiful is one of the joys of drinking wine. 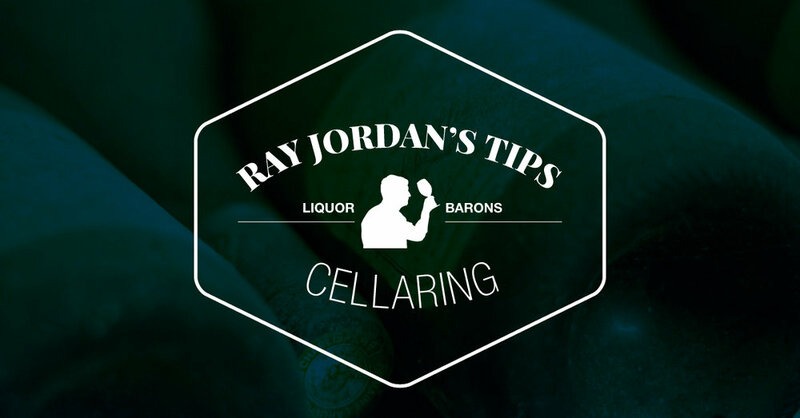 Cellaring makes financial sense also because provided you have cellared it well, when you do get around to opening that bottle it will be at optimum drinking and most probably will be worth a lot more than the price you paid for it years earlier. A wine that has too much tannin, is too oaky or has basic winemaking faults is never going to be anything but an oaky, tannic, faulty wine. The only variable is that it will be an old oaky, tannic faulty wine. However, cellaring will change and in most cases, improve well-chosen wine, provided you do it properly and with the right style of wine. Now, this is where a bit of experience is important. Sometimes cellaring merely changes the wine, but it doesn’t necessarily get any better. It may well have been a better wine as a youngster. At the end of the day, that is your call and you will only know that with experience and by tasting older wines. The ideal temperature is a constant 15˚C. Temperature variation can lead to oxidation just as quickly as having the temperature too high. All wines can be cellared at the same temperature. Humidity should be around 70 percent. This prevents corks from drying and evaporation — or ullage (where the wine escapes and drops down the shoulder of the bottle, leading to premature oxidation) – of course, most wine you are buying these days is under screwcap unless you are buying from Europe where cork still rules. A dark environment is best, as excessive light can affect the wine and trigger chemical reactions. Avoid places subject to vibrations — like your bedroom. Avoid places subject to smells — like your kitchen and near your toilet. You should install wine racks. You can opt for the bin style, which tends to suit buying by the dozen or the individual unit. There are a number of good ones around. I like the steel mesh style. Try to avoid a room that gets direct sunlight, otherwise, you will have to install insulation and air-conditioning. Get advice on the air-conditioner. It needs to maintain humidity and not dry the air. Some people create humidity with a bucket of water, though this needs to be placed carefully. If you are short of storage racks in your cellar or indeed, have a makeshift cellar under stairs and the like, keeping wines in their cardboard boxes is fine, as cardboard is an excellent insulator. Don’t turn your wines; they’re not a spit roast. I’m constantly amazed at the number of people who proudly tell me they’ve turned their wines religiously. Keep your mitts off them, okay? For a couple of hundred bottles and where space is at a premium such as in an apartment, a special temperature controlled wine fridge is an excellent investment for your best wines. If you’re serious, buy by the case and try the wines from time to time. There is nothing worse than keeping a wine past its best. Wines with a track record for cellaring are a good start. The wines should have a solid structure, tannins, good acid and oak, plus good fruit. Unless you are experienced, ask your liquor store or at the cellar for advice on suggested cellaring time for these wines. And they should be balanced. Choose a good vintage. Despite what people may say, vintage in Australia does make a difference. Great WA vintages such as 1999 and 2001 will produce excellent wines for cellaring, while 2004, 2005 and emerging 2007 will be another excellent possibility. Have a range of options. Generally, the less expensive wines don’t cellar for as long — the fruit is usually not of the same quality, and therefore the structure, essential for ageing, is not as robust. Select the variety well. Generally, Cabernets and Shiraz are the best red wine options in Australia, while Rieslings, some Semillon and some Chardonnay are the best for whites. And Chenin blanc, such as the famous Houghton White Classic (nee White Burgundy), is a terrific cellaring wine over about 10 years. Remember to ask at your friendly bottle shop. These guys will be able to either provide you with advice up front or be able to research additional information such as vintage quality and third-party reviews to help in your choice.